SUMMER IS A BUSY AND DELIGHTFUL TIME for gardeners everywhere. From the sweet fragrance of flowers in bloom to the quiet anticipation of tomorrow’s harvest, gardening can be a rewarding hobby and lucrative business. The end of summer portends the coming winter and essentially, the end of outdoor gardening. 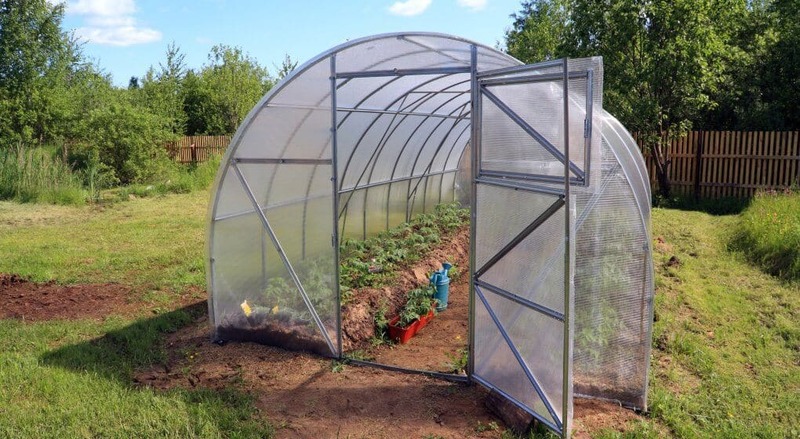 Should you have a greenhouse however, there is still much work to do cleaning up the debris of summer and preparing your greenhouse for next spring. We are all aware that greenhouses need cleaning at some point but with so much to do, where does one begin? We wondered that too so at Organic Daily Post we’ve done the homework for you and put together a comprehensive tutorial on the proper way to clean your greenhouse, what you should be cleaning and why. Following these tips and instructions gathered from experts, is good not only for your greenhouse but also your garden and even your soul. Having a clean greenhouse is rewarding in many ways to include the physical (a good workout), mental (completing the task) and spiritual (the self-satisfaction of a job done well). Not to mention the place will look great and your plants will love it too. Regardless the type greenhouse you may have, be it large or small, glass windowed, Plexiglass or even plastic sheeting, you’re going to need to maintain it. Any place you have a number of plants growing in an enclosed area, there is plenty of debris from falling leaves, soil spills, plastic containers, bags, and lots of other clutter that requires cleaning up. Greenhouse maintenance is essential to ensuring a clean work environment that keeps both you and your plants healthy and safe. A handful of preventive measures today can save you some time, money, and perhaps a few headaches tomorrow. In preparation for winter, many greenhouse growers designate fall as the perfect time of year for a thorough house cleaning and maintenance on the entire facility. Many greenhouse gardeners prefer to do their fall cleaning on a breezy, warm day before the temperature drops for the season. If you are able, set all your plants outside for the indoor cleaning process. Be sure to not place sun sensitive plants in direct sunlight. For the interior glass or Plexiglass panels, use a garden hose with a jet-spray setting or the setting that works best for your house and rinse all the windows down with water. The orange, coppers and golds of autumn fall into the cool spectrum of light category and are less intense. Plants thrive on late summer sunlight so be sure to wash well any windows that are dirty or have film over them. Tougher dirt may require a soapy, wet sponge or cloth. Depending on your situation, you may need to use a damp mop to reach the higher panes if necessary. An extendable painter’s roller pole can also be useful in reaching those higher panels. Be sure to inspect each glass pane and replace any that are cracked or broken. We want to caution you though when cleaning, do not stand directly beneath any overhead glass you are cleaning. Stand a few panes back of the panel you are cleaning in case the glass should break. You don’t want to be standing under falling glass. Additionally, check the window frames for any dirt that might harbor parasites. A toothbrush or those white plastic plant labels work really well for removing any dirt that may have accumulated in the frames over the summer. You can blast out the loosened dirt with the hose water. Even if you have plastic sheeting over your greenhouse you’ll want to rinse it thoroughly inside and out to remove any light-blocking dirt, dust, or business cards left behind by our feathered friends. Look for signs of mold or mildew that can begin to grow wherever moisture and warmth is constantly present. If any mold is discovered, mix a solution of one part bleach to ten parts water and spray directly on the infected area. In addition to the mold, this bleaching rinse kills any eggs, parasites, and microorganisms that may be present. People have also reported having success against white mold using pure isopropyl alcohol from a spray bottle. This alcohol solution can be lightly sprayed directly onto the plant without harming it if mold is detected. Next, you will also need to wipe down all work surfaces with a disinfectant. If you have cement or tile floors and even wood, rinse them down thoroughly as well. With a gravel floor, you can replace the old gravel with new or at least give it a fresh topping if necessary. When you have finished cleaning and disinfecting, it is important to rinse everything really well with plain water before bringing the plants back inside. However, be careful, you don’t want them coming in contact with any type of cleaning solution dripping from the walls or ceiling. Bleach especially. While you have all your plants gathered outside, this would be an excellent time to give them the once-over and cull any plants that appear sickly or with possible parasites, as well as removing the dead or dying leaves and old broken or weak branches. You don’t want to bring back into your greenhouse what you just spent so much time eliminating. Your greenhouse can harbor mites, aphids, or any number of microorganisms which is why a strong maintenance clean-up is required every fall making for a lighter cleaning each spring. While cleaning up, keeping the greenhouse doors open on a warm, breezy day will help it to dry faster while providing some fresh air as an added bonus. Another reason for choosing a breezy day is the wind acts as a blow dryer and dries the windows faster, often eliminating the streaking left behind by wiping with paper towels or cloths. Outside cleaning, is somewhat like inside cleaning…sans the disinfectant. This is pretty much common sense, simply find an effective pressure setting on your garden hose, spray the outside of your greenhouse in a back and forth motion starting at the top and rinsing down. Blast away any built up crud such as dirt, dead leaves and twigs from the corners of the panes when possible. This would also be good time to check the window seals to see if any caulking has come loose that could lead to water leaks. The beauty of having a greenhouse is nearly self-explanatory. Aside from their simple, crystal beauty, greenhouses are an effective way to control your plant’s environment and protect them from a host of fates. Moreover, it allows you to still piddle around with gardening while waiting out the winter. The downside however (if there is one), is that greenhouses are the perfect breeding ground for all manner of pests which are harmful to the very plants you are trying to protect. With warm and moist air flowing through its often open doors and an eclectic salad bar, what plant predator could resist? Experts tell us it is just as important to keep up with the task on a semi-regular basis. These proactive steps ensure a clean working environment that will help keep your plants healthy and reduce the risk of contamination from infected soil or other sickly plants. Not to mention the interactivity goes a long way toward keeping us connected to the wonderful world of gardening. Moreover, when your greenhouse is clean, your plants are healthier and you create a more pleasant and harmonious environment in which to work, contributing to your own peace of mind and the continued good health of your favorite greenery.